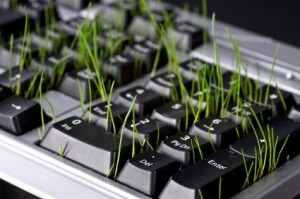 The Center is developing a speaker series with comprehensive theme of Green IT for Winter Quarter 2010. It will focus on Green IT best practices, emerging technologies, and what technical knowledge and skills industry is expecting from community and technical college graduates. The Center is co-sponsoring with the Construction Center of Excellence, Renton Technical College, a series of presentations on how the green movement is intersecting with sustainable construction and architecture. On Tuesday, February 23, 2010, from 7pm-9pm “Building Codes: People-ability, Planet-ability, Profit-ability, and the New Bottom Line”, the fifth in the series will be hosted at Bellevue College. The CoE for ICT is proud to announce that Dr. Don Tilton of The Green IT Alliance will be giving a presentation on “What is Green IT?” on Thursday, February 11, 2010, from 11am-1pm at Bellevue College. The presentation will provide an overview of Green IT. The presentation will cover background in energy consumption in IT infrastructure to set the stage for understanding the magnitude of challenges faced in improving the environmental impact of information technology. Three main areas will be discussed, including: Energy Efficient IT Architecture, Advances in Power and Cooling, and Integration with Building and Landscape Architecture. Look for further details and registration information December 2009 through January 2010.